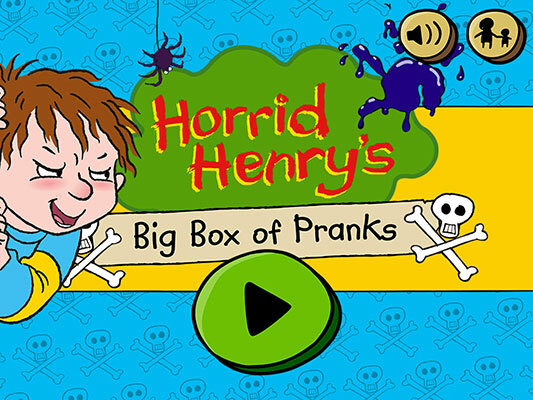 HORRID HENRY'S Big Box of Pranks is a fast and funny, action-packed collection of mini-games based on Henry's love of pranks and mischief. 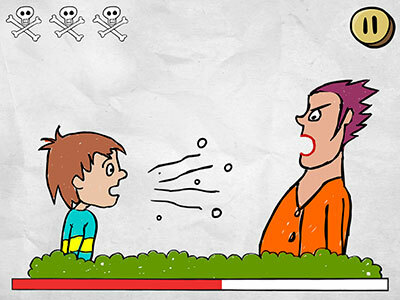 On entering the app, the player must play through a wide range of fast-moving mini-games or pranks back-to-back. 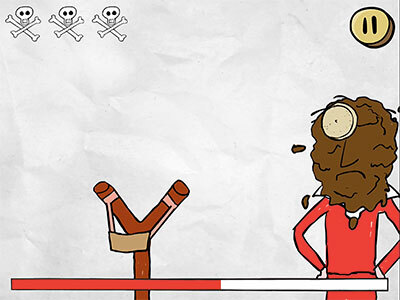 The difficulty level increases as the player progresses through all the games, becoming more and more frantic until the player loses all of their lives. 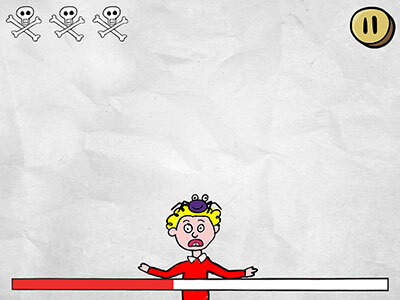 As well as completing as many of the mini-games as possible before they run out of lives, the aim is for the player to both beat their own high score and to unlock new games by moving up the levels of Pranks - ultimately becoming 'Lord High Excellent Majesty of Pranks'! 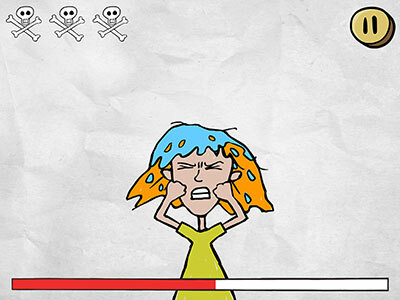 10 different prank games are available at the start to play. Players can unlock 5 more mini-games. Watch out for the instructions at the start of each game. There are 10 games available but keep playing the games to unlock 5 more mini-games. Look out for the Prank Awards throughout the this guide. 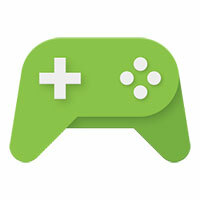 Compete with other players by connecting to Apple Game Center, Amazon GameCircle or Google Play Games. To get the best enjoyment from the app always make sure your version of Big Box of Pranks is up to date. As updates become available they can be downloaded for free from the store you originally purchased the app from. The app will alert you when an update has been made. 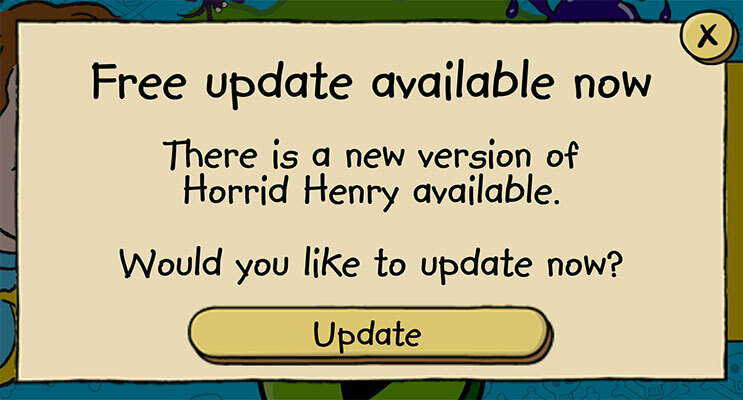 Press the Update button and follow the instructions to get the latest version. If you'd prefer not to update at this time, just press the button. When you load the app you will be presented with the Home Screen. You can also choose to return to this screen by pressing the Home Button whenever it appears in the app. PLAY BUTTON - Press play to start the app, or restart the app after a pause. SOUND BUTTON - Press to switch the music On or Off. 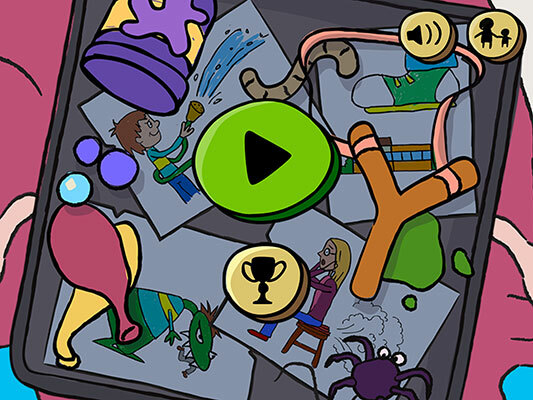 GROWN UPS BUTTON - Press to view all the functions in the Growns Ups area. This menu contains functions designed for grown-ups. As part of our Kid-Safe scheme each function is protected by a special lock designed so that only grown-ups can unlock it. App Help and Support - Tap this to view our latest support articles, help guide and information about the game. 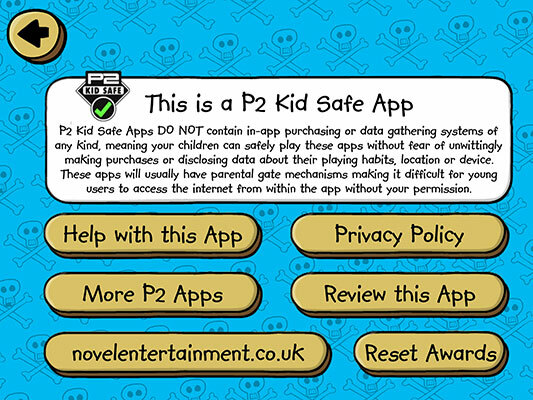 More P2 Apps - Tap this to see all the other great Gaming Apps we have available for mobile and tablet devices. 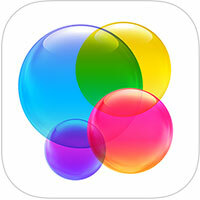 Review this App - If you love the game, why not tell others by leaving a positive review on the AppStore. 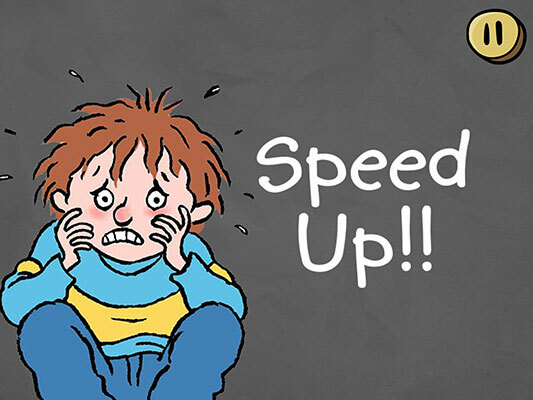 Novelentertainment.co.uk - Tap to find out more about Novel Entertainment, the producers of Horrid Henry and other well-known shows. Reset Awards - Use this to reset the score and game awards back to zero. This will not affect any high score you may have registered with a social gaming service. PLAY BUTTON - Press play to start playing the games. TROPHY BUTTON - Press to view the Prank Awards. When the player starts to play the games, one of the 10 unlocked games is selected at random from the pool and presented to the player. When a new game is unlocked, it is simply added to the pool of available games to play. To succeed, the player must complete each Game's task within the time limit. If they fail they lose a life. When a game is over, the next game is selected at random for the player to play. The player must successfully complete 5 games to move up a difficulty level. 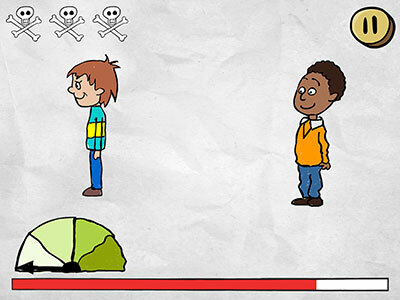 The player's score increases for every successful game they complete. 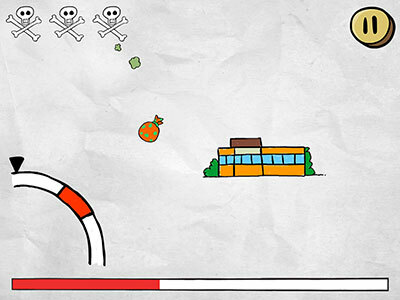 The actual score increase is based on the speed at which the player completes the task. If the player successfully completes the round of five selected games, they will see a "Speed Up" screen and the pool will be re-populated in a random order before play begins again. At this point, the difficulty level of the games increases and the Game time limit will be reduced. The player continues to play with the difficulty level increasing on completion of each round of 5 games until they lose all their 3 lives. 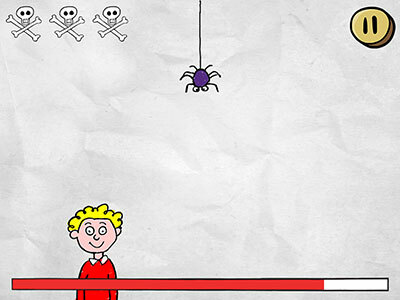 LIVES GAUGE - The number of lives the player has is displayed within each game. The skull and cross bones turn black when a life is lost. At the end of each game if the player has successfully completed the task, they see the success screen. The animated score is their cumulative score. Highest Score is the highest score they have achieved when playing the app. This will remain the same until a new high score is obtained. If the player has won a prank award for the game, this is shown in colour. 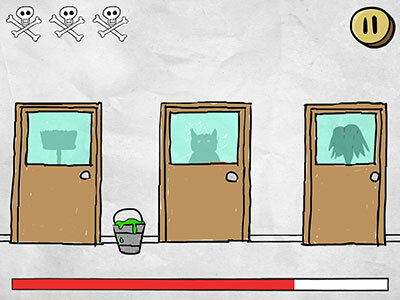 To win a prank award for a game, the player must successfully complete the game 3 times. The Prank award is greyed out until it is won. 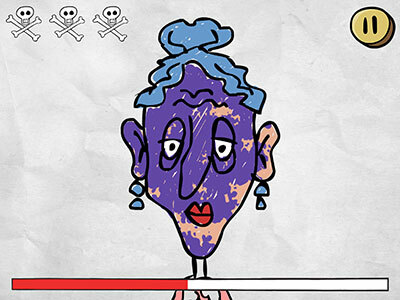 When the player has not completed the task within the time limit, they are shown the life being lost and their score. 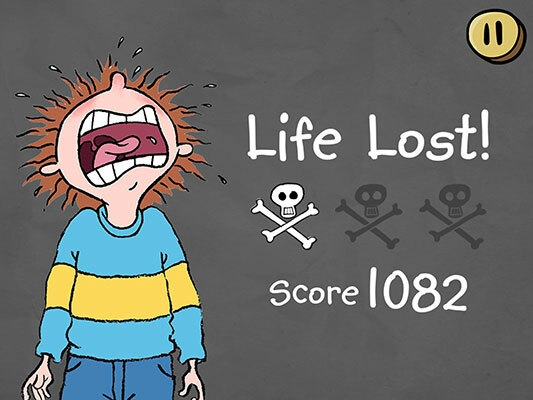 This is shown when the player's overall score is less than their highest score. 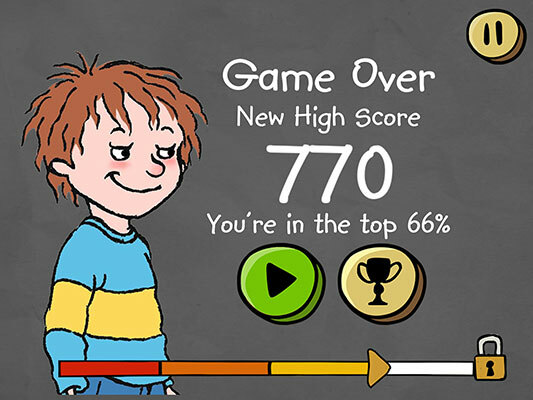 This is shown when the player has scored a new high score. It also shows the player's % ranking when compared to other players logged into the relevant online multiplayer social gaming network. Note: The % ranking is only displayed if the player is or has been logged into a relevant online multiplayer social gaming network otherwise no % score is displayed. The last known % is displayed if for any reason the app is unable to connect to one of these services or the player cannot log in. 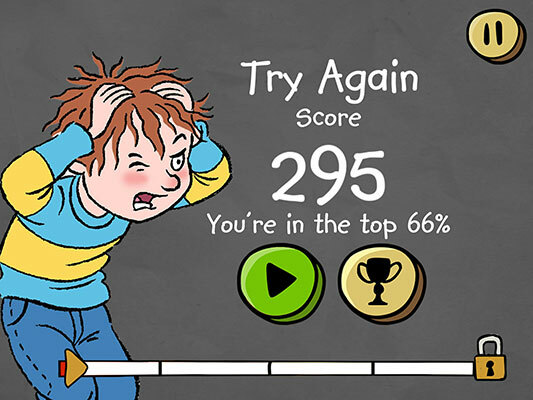 The % score is only displayed when the player's score is in the top 95% or higher. 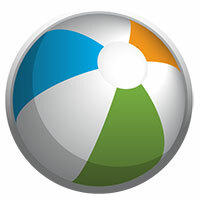 This app currently supports the following social gaming networks. 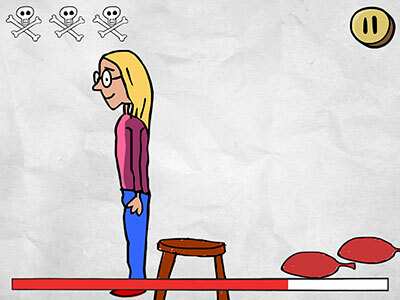 To unlock a new game, the player must play more games to increase their cumulative score. When the player has scored enough points, a new game is unlocked. 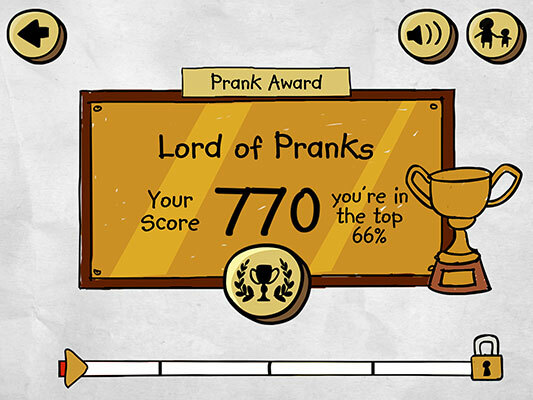 This screen shows the Prank Award level the player has reached and their highest achieved score. NB: It may not be their most recent score. 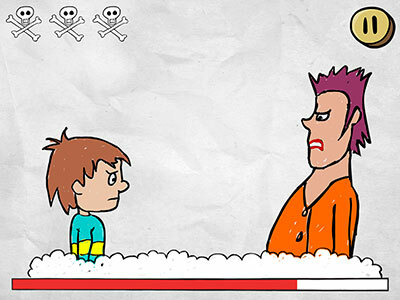 The first Prank Award level and the level at which the player starts is Practice Prankster. BACK BUTTON - Press to go back to the Game Play Screen. 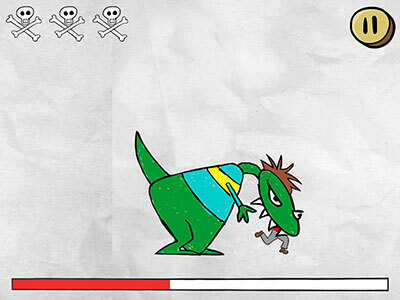 This shows the player's progress towards unlocking the next game. The bar can be seen increasing as the player plays more and more games and their cumulative game score increases. 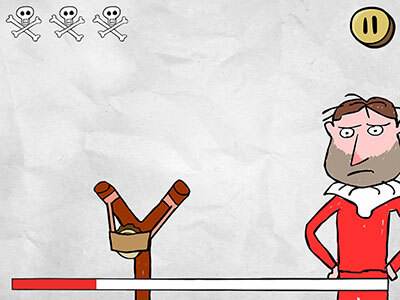 When it reaches the top of the bar, it means the player has scored enough points to unlock a new game. When all the games are unlocked this progress bar no longer appears. This shows all the Game awards that have been won. There are 15 in total to win, one for each game. 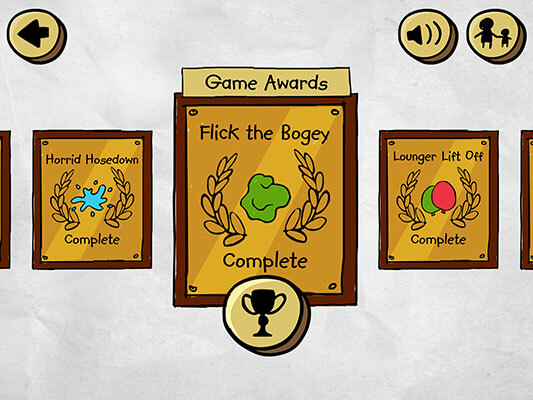 The player earns these awards when they successfully complete each Game three times. The player can scroll through the Game Awards by swiping the screen left or right. Awards are shown in 1 of 3 states as described below. Colour Award - This award has been won. Greyed-Out Award - This award has yet to be won. Locked Award - This game needs to be unlocked before you can win an award. TROPHY BUTTON - Press to go back to the Prank Awards screen. 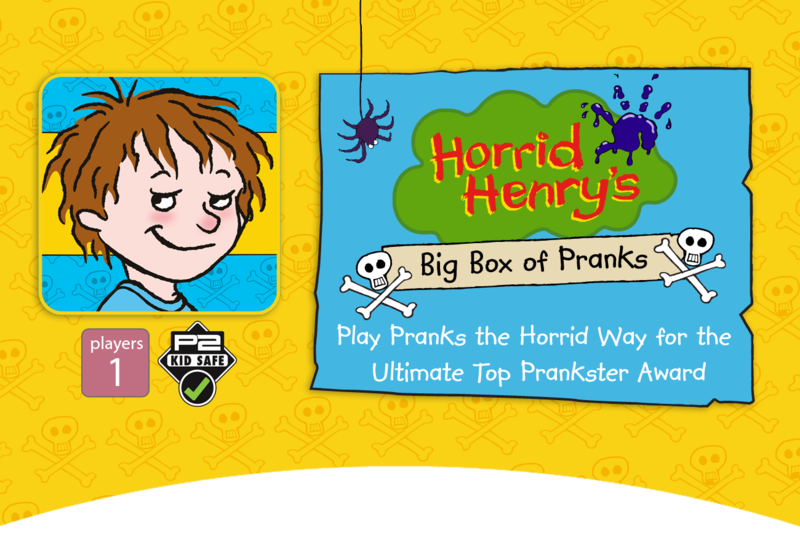 The games are displayed as Henry's sketches and each forms a different idea for a prank. 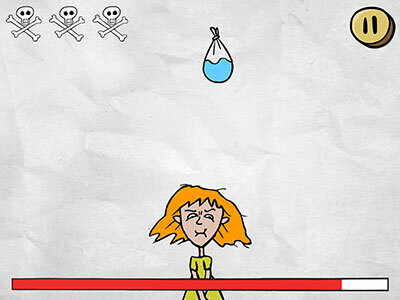 When played, these sketches come to life in comical ways, displaying the pranks in action as the player performs the necessary tasks. Scare Perfect Peter using a fake spider. Swipe the thread to break it & drop the spider on to Peter's head. Get your timing right to pull off the perfect prank. Who is that at the door? Whoever it is will be getting a face full of goo! Rub your finger over their face to cover it with globs of goo. Henry needs to get rid of the Babysitter. A gigantic burp should do the trick! Tap the screen as quickly as you can and fill the on-screen belch meter before the time runs out. Moody Margaret has fallen asleep outside on the sun lounger. 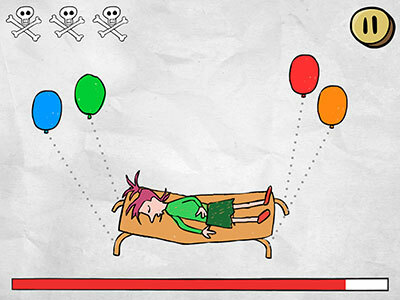 Touch each balloon and drag your finger along the dotted lines to attach the balloons to the legs of the lounger. Watch Moody Margaret float away. 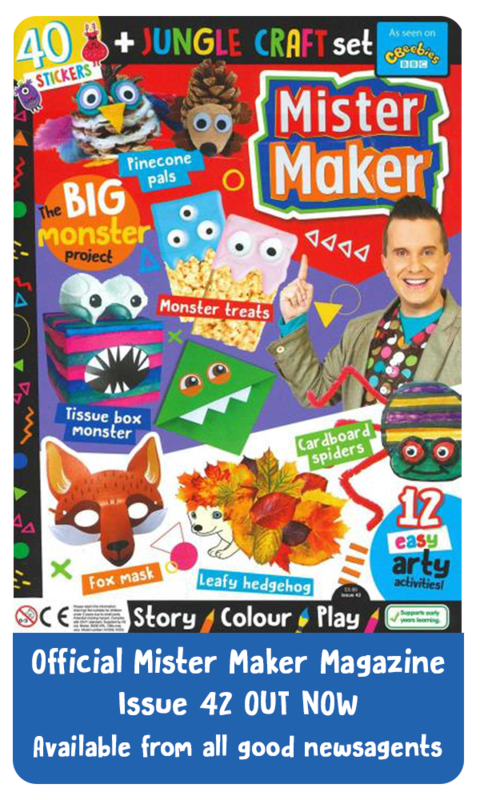 Henry's imagination can sometimes get carried away and one of his fantastic pranks involves being transformed into a Henryosaurus and devouring Perfect Peter! 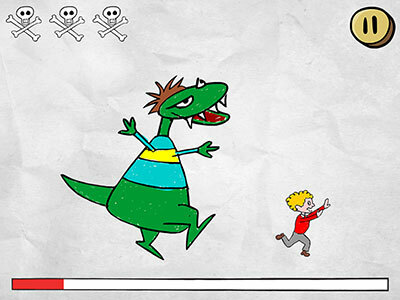 Tap as fast as you can to make the dinosaur run faster and catch Peter and gobble him up! Another prank from Henry's wild imagination. Henry plans to become giant sized and stomp on the school. 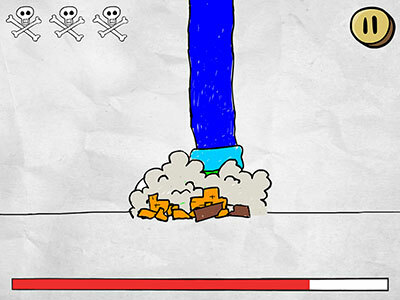 Tap the screen when the giant foot is above the school to crush it. 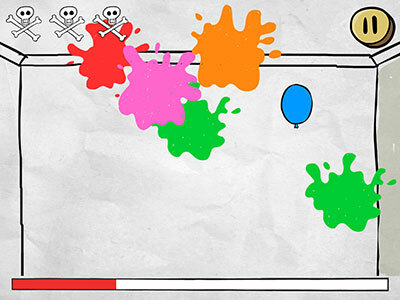 Henry has always been an artist and has found a new way to decorate a room - with paint balloons! 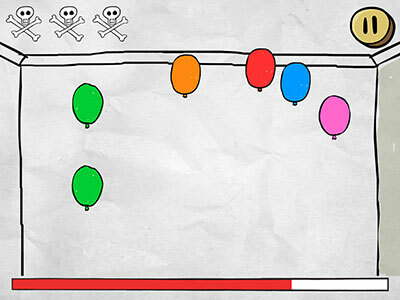 Tap the balloons to burst them and cover the wall with paint before the time runs out. Nothing can beat the classic whoopee cushion on a chair prank. Henry just needs to place it without being noticed. Touch the Whoopee cushion and drag it onto the stool before the time runs out and Mum turns round. The number of Whoopee cushions increases with the difficulty level. Drag each Whoopee cushion on to the stool, stacking them on top of each other. Henry is an expert at bogey flicking and can hit his friend Ralph from great distances. Drag the X to Ralph as he moves across the screen. Get the timing right so that the bogey hits him. Henry thinks he is fastest on the draw and is challenging Moody Margaret to a quick draw hose challenge. 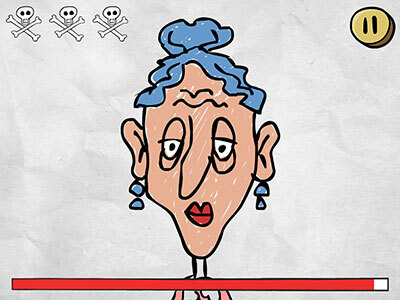 Tap the screen as quickly as you can to hose down Moody Margaret before the time runs out. The school smells far too sweet. Henry has come up with a stink bomb to change that! 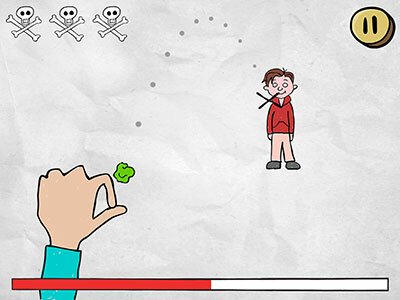 Tap the screen when the arrow is on the red area of the circle to launch the stink bomb and stink out the school. Sometimes you can't beat the classic pranks such as a bucket of goo on top of the door. 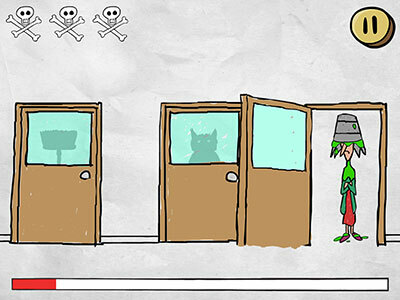 Drag the bucket to the top of the door with Miss Battleaxe's shadow to cover her in slimy green goo. How can Henry clear away his enemies? 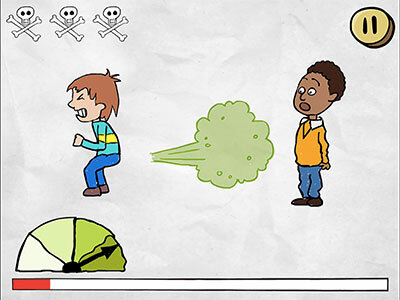 A giant fart should do the job! 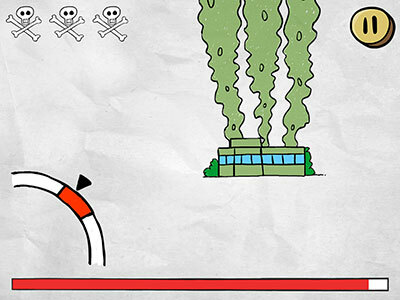 Tap the screen as quickly as you can to fill up the fart meter and let one rip! Henry's Mudpie Slinger is ideal for pelting his enemies with mud pies. Drag the Mudpie Slinger back and let the mudpie go when Soggy Sid is in view to cover him with mud. What can make school less boring? Water balloons of course! Tap the screen to make the balloon drop at the correct moment!